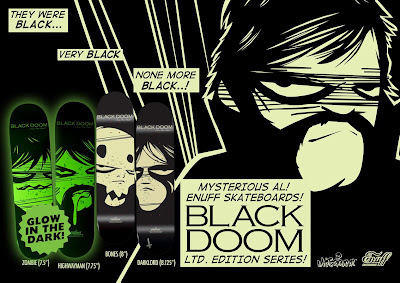 We've got a fresh set of Mysterious Al collaboration boards out now. this is our second collaboration with the sick british artist Mysterious Al and this time, it glows in the dark! With 4 sick graphics we've got them available in 7.5", 7.75", 8" and 8.125" check them out and then head to the local skate shop and pick em up. We've also got glow in the dark wheels from the new refresher range, with top quality urethane these are a great addition to your new board!